MMC Contractors was recently awarded the National Army Guard Field Maintenance Shop project by Core Construction in Las Vegas. The Kansas City Energy/Industrial Group of MMC Contractors was awarded another large fabrication project from energy client ICM, Inc., one of the industry leaders in ethanol plant construction, operation and design. KANSAS CITY, MISSOURI - Another nice win in Kansas City to wrap up 2011 on a high note! The pursuit of healthcare work in the local Kansas City market by our Special Projects group is continuing to prove successful with the award of the Genetics & Genomics Lab Relocation project for Children's Mercy Hospital, Crown Center Campus this week! MMC Contractors was awarded the mechanical contract for the 500,000 SF expansion and renovation at Saint Francis Hospital in Tulsa, Oklahoma. MMCContractors joint ventured with McIntosh Services of Tulsa, a longtime fixture in the mechanical industry in Tulsato pursue the project. OMAHA, NEBRASKA - MMC Contractors' Nebraska office has been awarded two significant qualifications and fee-based proposals to help build backlog moving into 2012. KANSAS CITY, MISSOURI - Abener/Teyma selected MMC Contractors for their Modularization Project that will be fabricated in the Kansas City fab shop and shipped to Abener/Teyma’s Solana Plant, a 280MW Solar Power plant located in Gila Bend, AZ (60 miles west of Phoenix, AZ). The Las Vegas area Chamber of Commerce hosted a ribbon cutting during MMC Contractors' LV office industry event Oct. 13, 2011. During this event, MMC Contractors invited Las Vegas construction professionals to learn more about our capabilities and hear from city and state officials. Check out our ribbon cutting photo in the attached PDF. Kansas City Industrial Bookings Get Stronger Every Week! 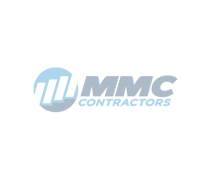 KANSAS CITY, MISSOURI - The Special Projects Division of MMC Contractors Kansas City was just awarded General Motors Fairfax Plant 6 Bay Addition followed quickly by 3M 45 Maker Steam & Condensate Upgrades for a total booking of just under $1,500,000 in industrial work in the past two weeks.